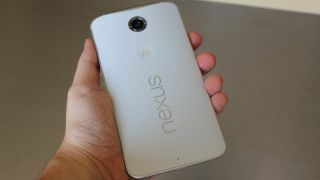 A report earlier this year suggested Google is preparing to launch its own mobile phone service codenamed Project Nova. Everything moved pretty fast from there and Google then confirmed the project at an MWC press conference earlier this week. Now a report in The Wall Street Journal has suggested once the service launches it will only by available on the Nexus 6. It seems a weird idea to restrict an entire phone network to one device, but it will be a soft launch for the company and it is going to need some tight control of both hardware and software. Project Nova will use different mobile phone networks alongside Wi-Fi signals to offer the best service. T-Mobile and Sprint's networks will be powering the network in the US and it'll need a good amount of Wi-Fi power as well to keep Google's "virtual network" running. Keeping it restricted to the Nexus 6 will allow Google to keep a close eye on how the hardware and software are both interacting with the new service. Not much else is known about the network but we do know it'll automatically redial if a call been cut mid conversation. So far it has only been confirmed as a US service but it may come to other territories in the future.